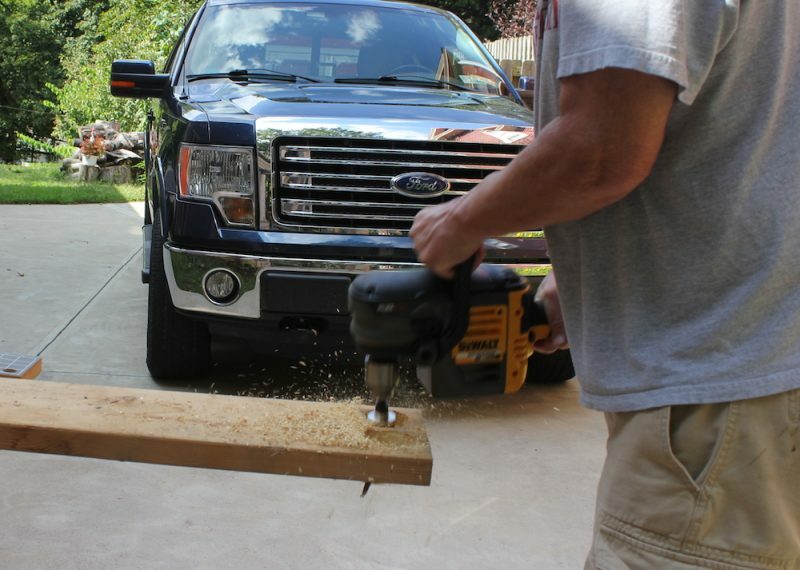 To try out the DeWalt FlexVolt Stud & Joist Drill, I took it for a little ride in the boondocks. 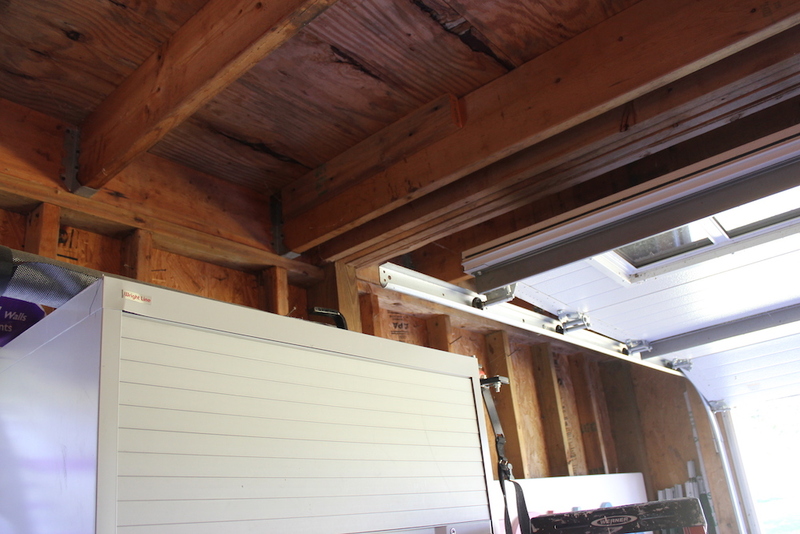 When we bought our small farm a while back, it came with a two-car garage. The garage had a gravel floor and no door; I guess they liked the open concept. Also, despite the fact that there was a 50-amp subpanel, there was only one electrical outlet, on the rear wall. Because, hey, who needs more than one outlet! I had added another outlet shortly after we got the place, but wanted to add more, including a couple on the opposite side of the garage. Getting the Romex across the garage and down to the first box wouldn’t be bad. Getting from that box to the next, however, required going through four adjacent 2X10s, plus another 2X10 a few inches away. 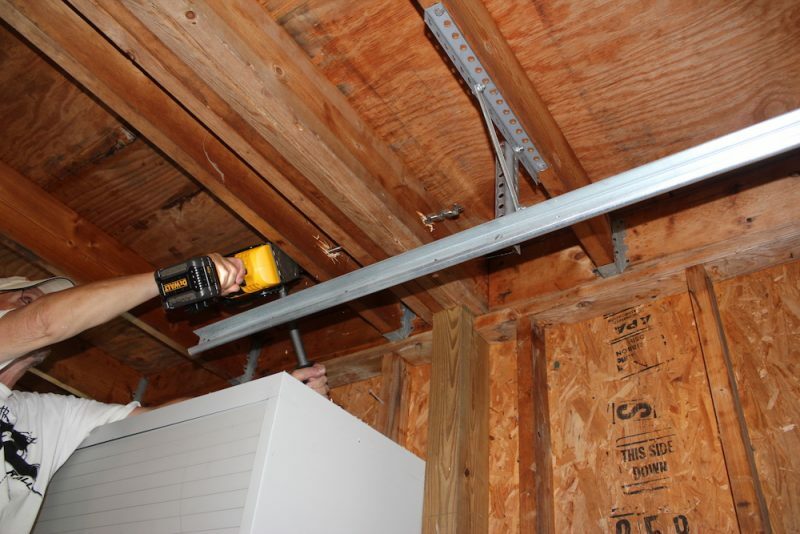 Seemed like an excellent opportunity to put the DeWalt FlexVolt Stud & Joist Drill to work! I chucked up a 1”x17” ship auger bit and climbed the ladder. I set the tip of the bit against the first joist and pulled the trigger. The bit pulled itself quickly through the first joist, and I pushed it across the gap to the four-joist cluster. The bit dug in, and the DeWalt FlexVolt Stud & Joist Drill powered through steadily. I backed it out once, to clear the shavings, then forged on until it popped out the other side. The drill didn’t bog down at all, and never seemed to be straining. I also had several single joists to drill through. 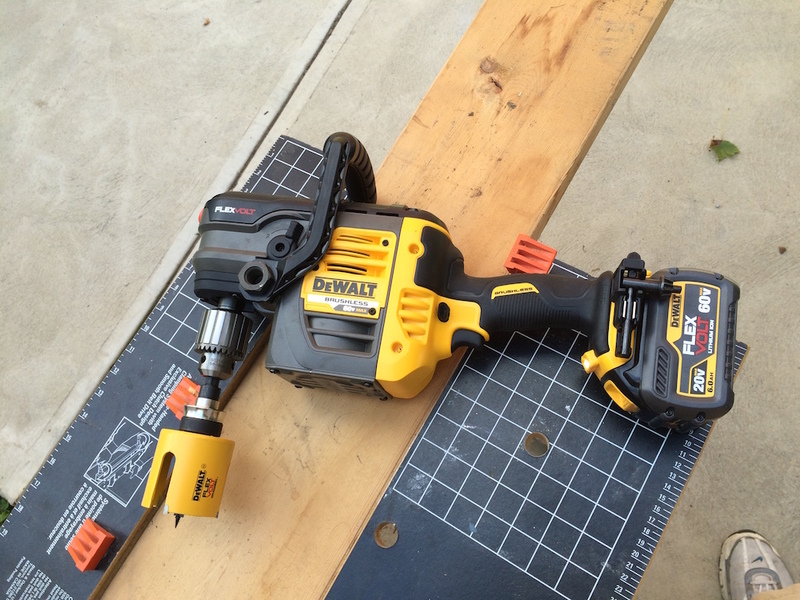 Since the DeWalt FlexVolt Stud & Joist Drill is fairly heavy, I decided to switch over to a regular ½” cordless drill. While drilling through one of the joists (with the same auger bit), I hit a knot or a nail, and the drill torqued around and smashed my hand into the plywood floor above. After muttering some appropriate adjectives, I backed the bit out and tried again. Yep, I’m a slow learner. After hitting the same obstruction again, twisting my wrist and smashing my hand, and muttering more colorful adjectives, I conceded defeat. I chucked the bit back up in the DeWalt, braced myself, and went back into the same hole. Whatever the obstruction was, the DeWalt FlexVolt Stud & Joist Drill powered right through it; no more twisting and shouting. I moved on to the remaining joists, and in a few minutes the DeWalt had powered easily through all of them. OK, now find me a BIG bit! 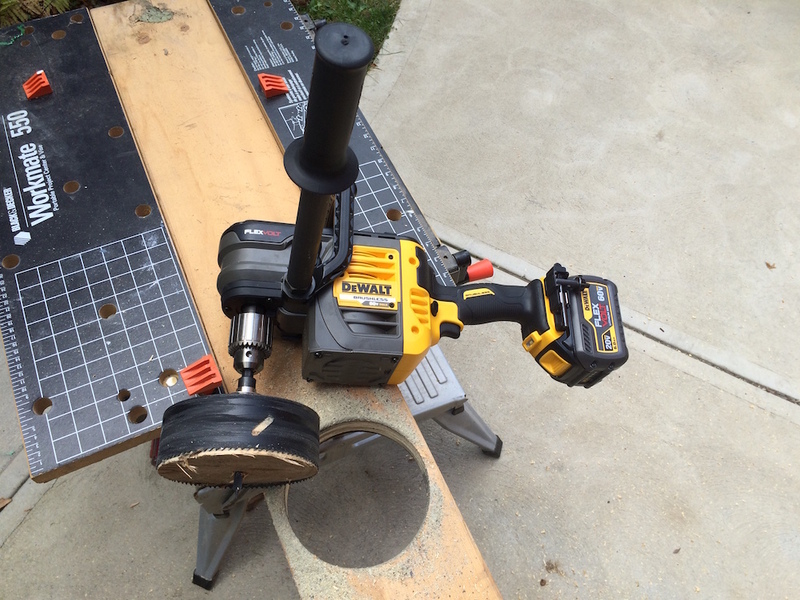 The DeWalt FlexVolt Stud & Joist Drill didn’t break a sweat with the big auger bit, but I wanted to see how it would perform when it was time to make some bigger holes. I grabbed 2-½” and 6” DeWalt FlexVolt hole saws, and a 3-5/8” Selfeed bit. I found a leftover piece of 2X8 to serve as perforation central, and chucked up the 2-½” hole saw first. 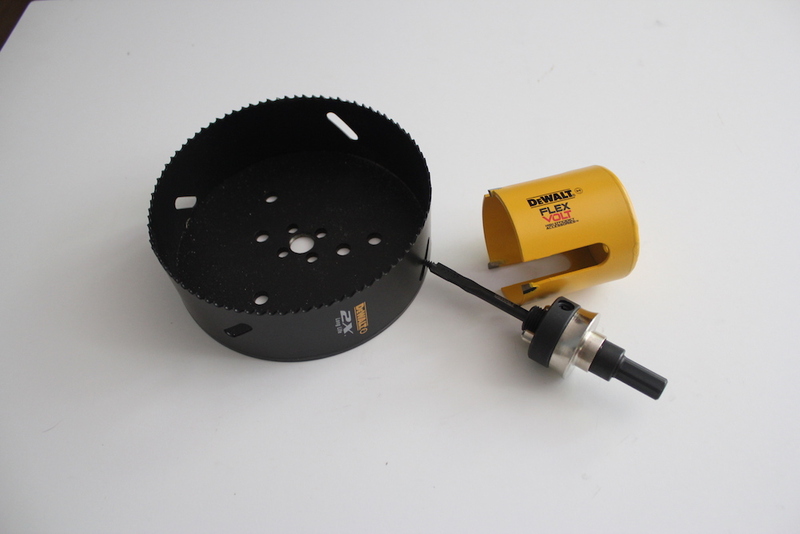 The 2-½” hole saw is a new design, with only four carbide teeth, and relief slots all the way up the side. DeWalt makes a whole line of blades and bits designed to optimize performance when using battery-powered tools. I drilled the first hole using the lower speed range, then switched to the faster range for the second. The hole saw ripped easily through the 2X8 both times, and the full-length slots made ejecting the cutout fast and easy. Next I chucked up the big daddy 6” hole saw. This is a huge hole saw, and pretty much at the top limit of what the DeWalt FlexVolt Stud & Joist Drill is designed to handle. Don’t even think about trying it using only the bail handle; drilling a hole this big is definitely a side handle job. That’s a LOT of teeth trying to dig in! I made sure the drill was as level as possible, and started it spinning. When the teeth contacted the wood, the drill torqued around to the side. 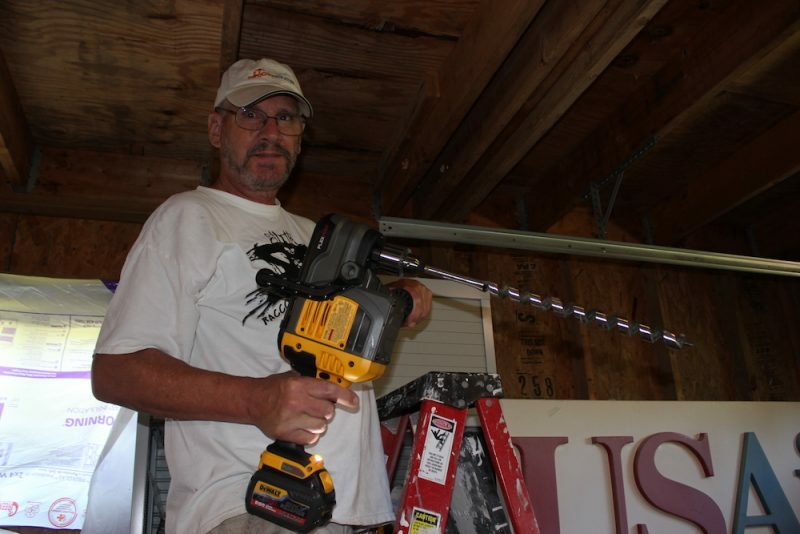 I stopped, switched the DeWalt FlexVolt Stud & Joist Drill into reverse, and got a good grip. I started up again, and let the teeth make a little starting groove. I also realized that the drill was still set to the high speed range, so I switched to the low range. Then it was back to forward, and off we went. With any hole saw, and especially one this big, you need to back it out periodically to clear sawdust from the teeth and the cut. I did that, and resumed cutting, and although the drill slowed a bit at times, it powered through. Again, this is a huge hole to make in dimensional lumber; normally when making holes this big, you’re only going through a plywood subfloor, which would be a ‘hole’ lot easier. As my final test, I grabbed a large, 3-5/8” Selfeed bit. These bits are beasts, and the type of bit most frequently used by plumbers and HVAC installers. They’re fast, and there’s no plug to be removed, like with a hole saw – just a massive pile of wood chips. Want big holes fast? Get a Selfeed bit. I chucked up the Selfeed bit, and bored a hole through the 2X8. It tore right through it, no bogging, no hesitation. I still wanted to test the E-Clutch feature, which is supposed to detect binding and slow the drill, so I started another hole. About 2/3 of the way through, I tilted the drill sharply. 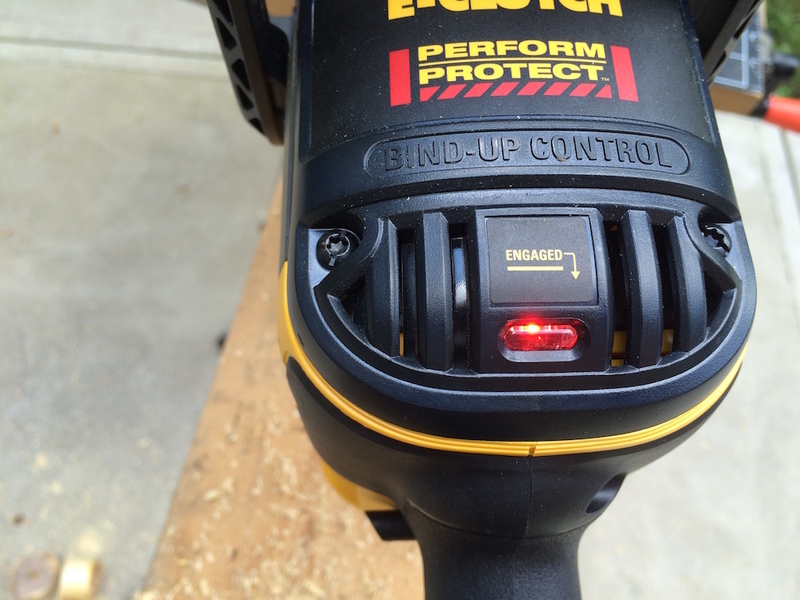 The DeWalt FlexVolt Stud & Joist Drill immediately slowed way down, and the red “Engaged” indicator lit up, indicating the E-clutch was, well, engaged. I released the trigger, straightened the drill up, and ripped through the rest of the hole with no issues. The red light means you tripped the E-Clutch. This is how the E-Clutch is supposed to perform. It’s designed to detect reactionary torque from a bind-up or stall, and drastically reduce the drill’s speed so you can regain control. 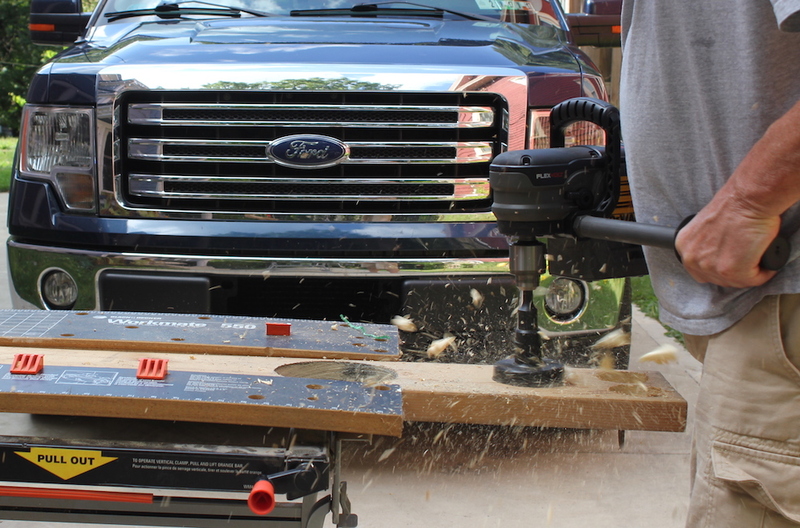 I’m not sure why it didn’t kick in with the 6” hole saw; maybe I’m just weak…Nah. 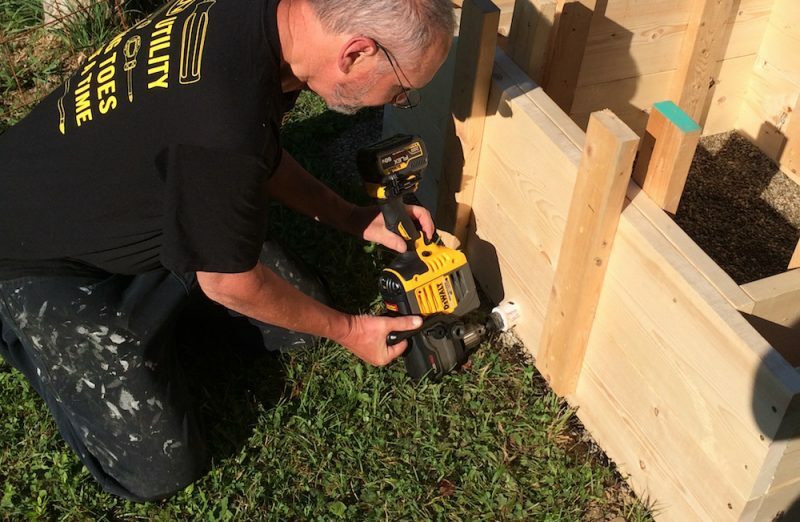 The feature worked fine with the Selfeed bit, and when we tried out the drill during the DeWalt FlexVolt product launch. The problem may be at least partly due to my starting out with the drill in the higher speed range, when it was definitely a low-range situation. Another recent project highlighted how handy it is to have a cordless option. While making a concrete fire pit, I built forms out of 2X10s. I needed to drill four 2-1/8” holes near the bottom of the forms, so I could insert PVC pipe to form holes to allow for combustion air and drainage. The project site was a good 100’ or more from the closest power source. 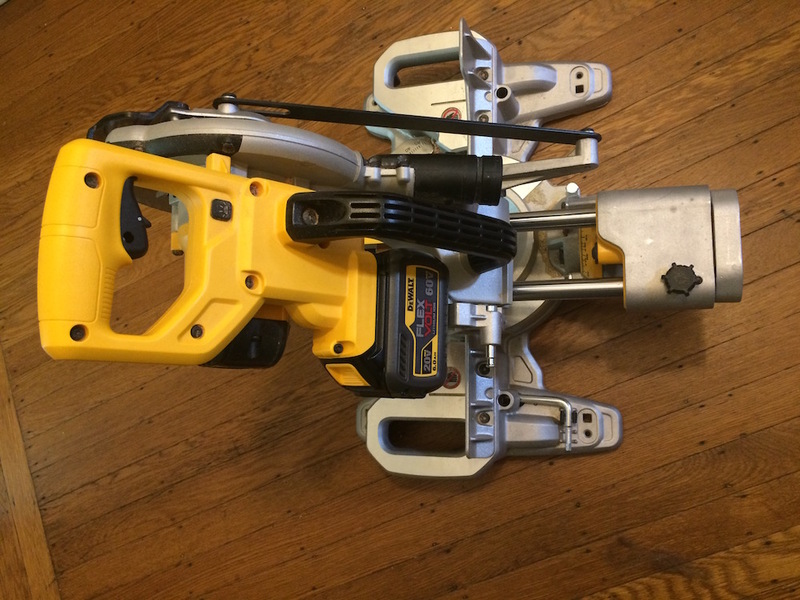 The DeWalt FlexVolt Stud & Joist Drill saved me the time and aggravation of locating and schlepping out extension cords for a five-minute task. I was able to get the holes drilled quickly, and forge ahead with my project. 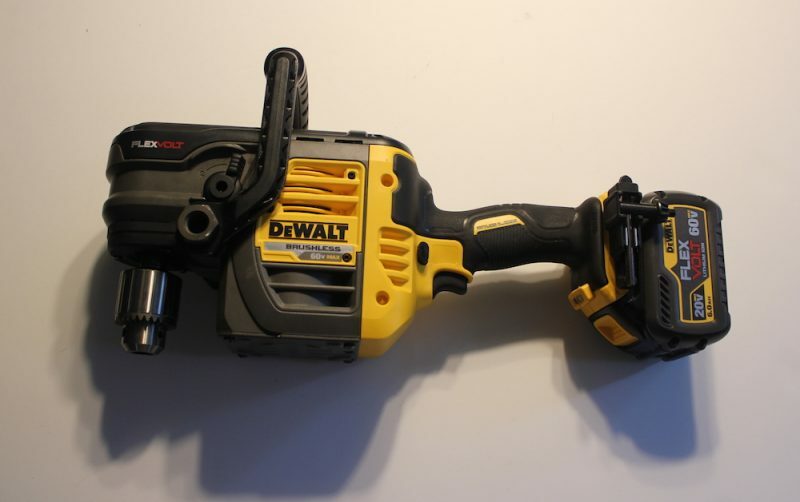 DeWalt developed the DeWalt FlexVolt Stud & Joist Drill to serve as a cordless replacement for plumbers and electricians who routinely drill lots of large holes. I think they nailed it. The drill has loads of torque and power, and the 6.0 Ah battery provides enough run time to make lots of chips fly. A 9.0 Ah battery, due out in early 2017, will likely prompt users to proclaim “Holy smoke!” as they drill a whole lot of holes in a wholly cordless fashion. 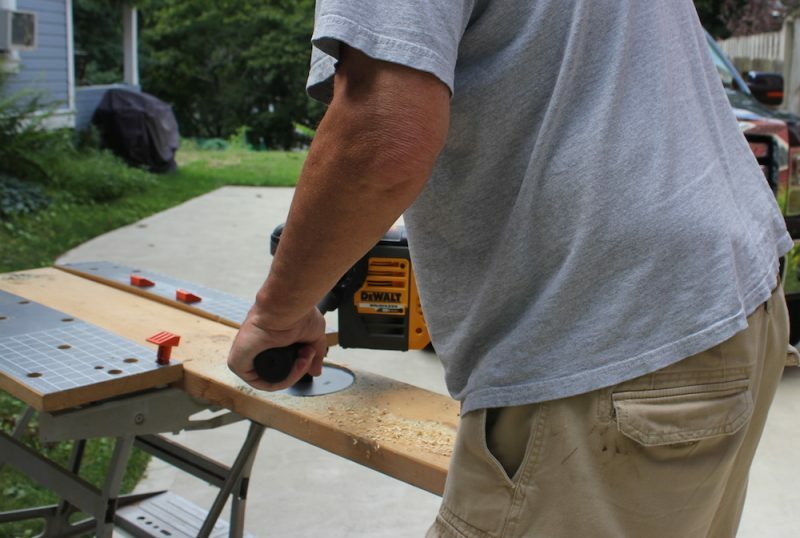 For contractors invested in the DeWalt 20V MAX line of tools, there’s an additional benefit. The 60V FlexVolt batteries are backward compatible with almost the entire lineup of DeWalt 20V MAX tools and chargers. They’ll provide up to 4X the run time when slapped into your 20V MAX sliding miter saw, blower or impact driver. With several FlexVolt products already available, and more due out in coming months, DeWalt’s vision of a cordless job site (which seems to be tinted yellow) may be that much closer to becoming the norm. The DeWalt FlexVolt Stud & Joist Drill comes with a three year limited warranty, a year of free service, and a 90-day money-back guarantee. 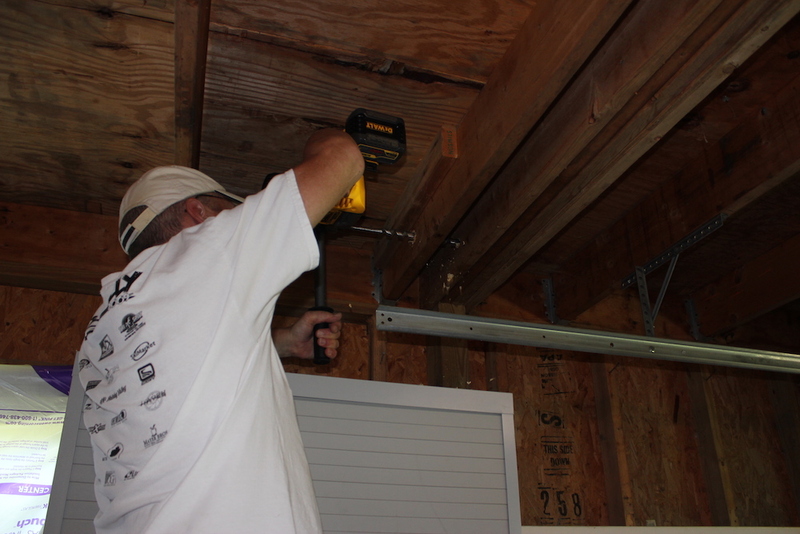 It’s available as a bare tool, or in a kit with a FlexVolt battery, a quick charger, and a canvas tool bag. Good to know this tool works so well! It’s always great to hear about it first before buying one and regretting a purchase. Good luck on your future endeavors! Thanks, Gaz – the drill is a beast! DeWalt is coming out with a FlexVolt chainsaw early in 2017, seems like something that would be right up your alley!